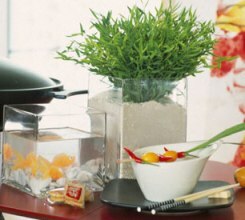 Home FISH Know The Natural Aquarium Decorations For The Healthy Growth Of Fishes! 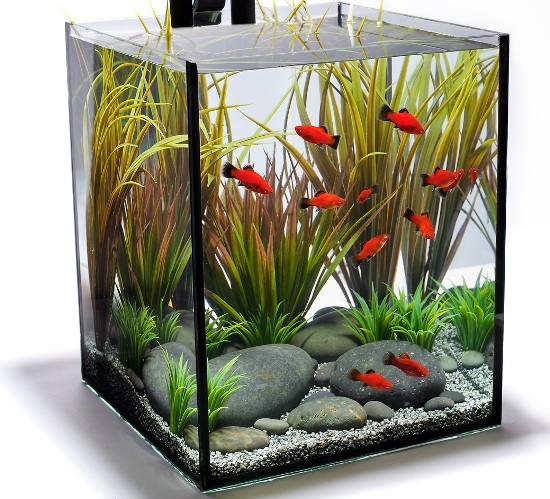 Aquarium decorations are very much necessary set up in the aquarium for the feel of deep waters at your home. The aquarium decorations vary from artificial decorations to natural decorations. 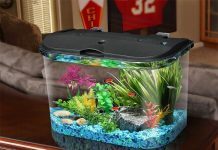 Many fish lovers do not know that the set up of these aquarium decorations are very useful for the healthy growth of the fishes [Aquarium accessories]. There are many items to be used as aquarium decorations in the fish tank. 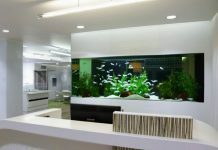 These aquarium decorations give the interiors of the fish tank completeness and make them look natural. Bottom material: To place the aquarium decorations in the fish tank, you need some stable bottom material for making these decorations stand in the fish tank. Quartz gravel, gravel and river sand are very good substrate materials. Make sure that these substrate materials do not contain excess of calcium as excess of calcium can be dangerous for your fishes growth. Some gravel increases the PH level of the water, so always maintain PH level below 7.5. The average size of the substrate in the aquarium should be 3 millimeter. Plants: The most natural decoration in the aquarium is the setup of plants: natural or artificial plants. 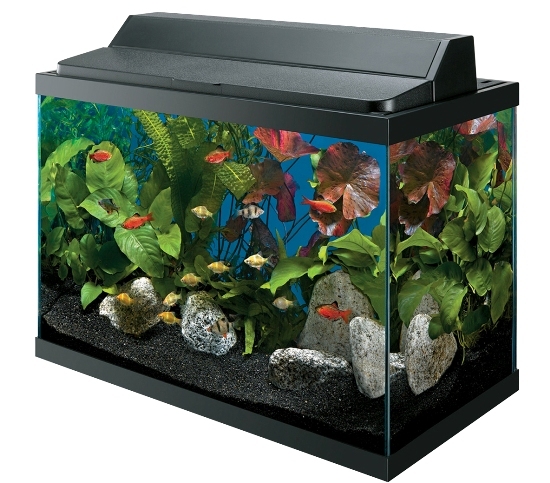 The setup of these aquarium plants gives completeness to the aquarium. The artificial plants are made of plastic and some artificial materials can be hazardous to the fishes as they raise PH value. The natural plants are the optimum decorations in the aquarium. These plants also help in breeding of fishes as fishes feel the presence of these plants natural. The plants which survive in the salt water and fresh water aquariums differ. So, study about the plants when placing them in the aquarium. When you are decorating the aquarium with the live plants, make sure the plants get proper lighting and receive proper care. Stones and Shells: These are other famous natural aquarium decorations. But be sure to study about the rocks before placing in the aquarium. The different patterns in arranging rocks can make interesting structures in the aquarium and some times even as shelters to the fishes. Be sure before placing the shells in the aquarium and never put an unidentified shell in the aquarium. Always prefer the shells from the pet shop as some shells cause the death of the fishes due to the calcium released by the shells because calcium is extremely dangerous. Caves: These are very essential aquarium decorations and can also be called as aquarium essentials. The fishes when feel threatened hide in these caves for safety. So, the presence of these caves gives them a secured feeling of the place. Some fishes breed in these caves and lay eggs within the caves. So, presence of caves improves reproduction in the aquarium. Wood: Are you surprised seeing wood as an aquarium decorator, thinking how wood sinks in the water? You are right; wood does not sink in the water, it floats. So, before placing wood in the aquarium, boil it. Boiling will kill the pathogens in the wood and help the wood to sink in the water. Do not experiment with different wood materials and always prefer wood purchased from the pet shop. The wood is also a source of food for some fish species. All these are natural and un-hazardous aquarium decorations which bloom the atmosphere in the aquarium and helps in the growth of the fishes. Previous articleBubble Beds For Pampering Your Pet In The Luxurious Way! Next articleUnderstand Your Dog Behavior To Get Close To The Dog!